Baseball wouldn’t be this country’s favorite pastime if kids didn’t grow up playing it, and the continued popularity of Little League with young boys and girls proves that there’s something about the sport that they just can’t resist. Even parents enjoy setting themselves down in their favorite lawn chairs for a night of youth baseball, a hot dog and perhaps a discreet adult beverage to put the icing on the cake. However, Little League isn’t all smiles and sunshine for the most competitive families out there. 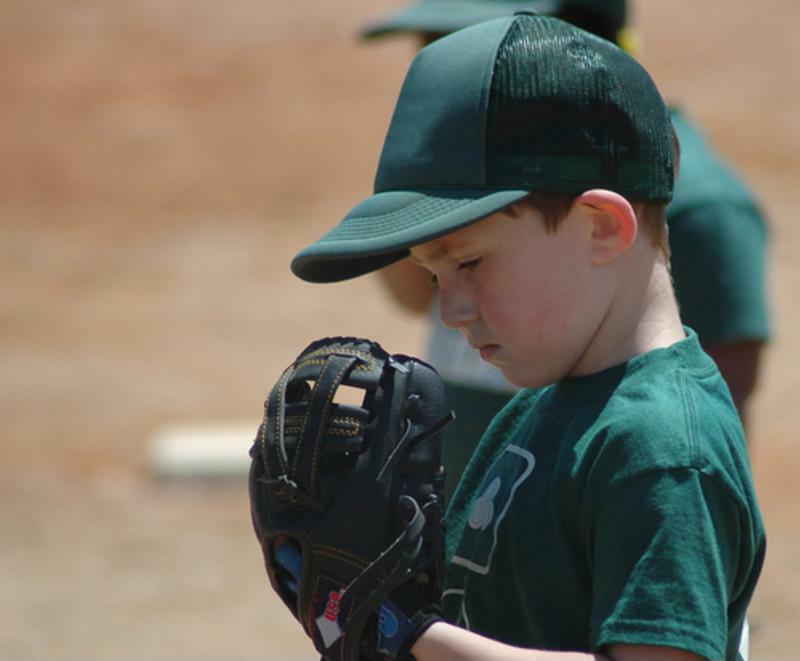 Arm fatigue can lead to serious injury, and if you have a child who does most of the pitching for his or her team, you need to keep a close eye on how many pitches he or she throws every day, week and season. While the team’s coach should be protecting your kids from arm fatigue, don’t be afraid to seek out a second opinion from your nearest CareWell urgent care center if you think your Little Leaguer might be throwing too much. Many kids dream of picking the ball up and walking to the pitcher’s mound in Game 7 of the World Series. However, young arms don’t have the strength and resiliency of adult shoulders and elbows. Unfortunately, this wasn’t always common knowledge. According to American Sports Medicine Institute, as recently as 2006, USA Baseball had no guidelines for how many pitches 16- to 18-year-olds should throw in a day. There were vague limits on the overall number one should throw in a season or year, but unless the coach or parent is sitting in the bleachers marking down every pitch, accurate counts are unlikely. The ASMI explained that it was only in 2010 that Little League Baseball and Softball published official pitch limits for youth pitchers. For some, it was already too late. Kellen Sillanpaa, an 18-year-old youth baseball player from California who once harbored dreams of playing in college and eventually in the professional leagues, told USA Today how overpitching in his Little League games essentially sapped his arm of strength. After a youth career where he once threw 120 pitches in a championship game and had college scouts recruiting him, Sillanpaa now can’t throw over 80 miles per hour at an age where he should be throwing close to 100 mph. Unfortunately, Sillanpaa told the source, baseball is no longer an option for him. Step in and protect your kid before it’s too late. What puts your kid at risk? In a column for LLBS, noted sports orthopedic surgeon Dr. James Andrews outlined a number of factors alongside excessive pitch counts that could threaten the health of your kid’s arm. Playing on multiple teams: While most leagues now enforce pitch counts as a matter of safety as well as competitive parity, plenty of families enroll their kids in two or three more leagues to maximize training time. However, Andrews explained that this is just circumventing rules meant to keep your kids safe. Just because they throw 60 pitches in a game in the morning before throwing another 60 in a different league at night doesn’t do anything about the fact that their arms still have 120 pitches worth of stress. Throwing for speed: In professional baseball, pitchers know the mechanics necessary to throw a ball close to or over 100 mph. However, an obsession with the radar gun only hurts your kid, Andrews explained. Without the proper technique, youth pitchers who try to throw as hard as possible are placing undue stress on their shoulders and elbows that can lead to fatigue and injury. Focusing on breaking balls: Often, the first youth pitcher on a team to successfully achieve a curveball gets the No. 1 position. However, the motion in which the arm needs to safely move to throw a breaking pitch is incredibly precise, and kids who can put a spin on their pitches without knowing exactly how to move their arms are placing themselves at serious risk. When not only your child’s future, but his or her health is on the line, it’s time to forget about the game and head to your local CareWell urgent care center for an expert evaluation.